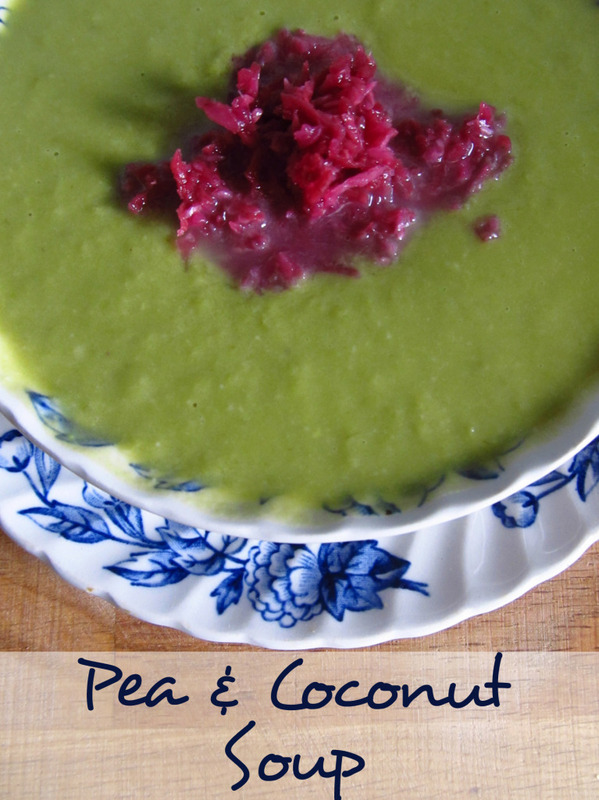 This incredibly simple recipe combine two of my most favourite things – peas and coconut. When dating my now husband Joe, I remember seriously considering if we were the right match when he informed me that he wasn’t a big fan of peas. Now Joe is by no means a fussy eater, but at the time I would happily consider a bowl of peas with pumpkin seeds and butter a perfectly acceptable dinner. Now, anyone who lives with a 6ft 6 bloke will know that that is never going to cut it as a meal! But such is my love of peas. Now that’s its properly chilly outside the need for soup is high. I eat soup most days when its cold as it an easy way of getting loads of veg, loads of bone broth which is so healing for the body ( read here for why), its very hydrating, will help you lose weight and is also a great way to get some healthy fats into your lunch. 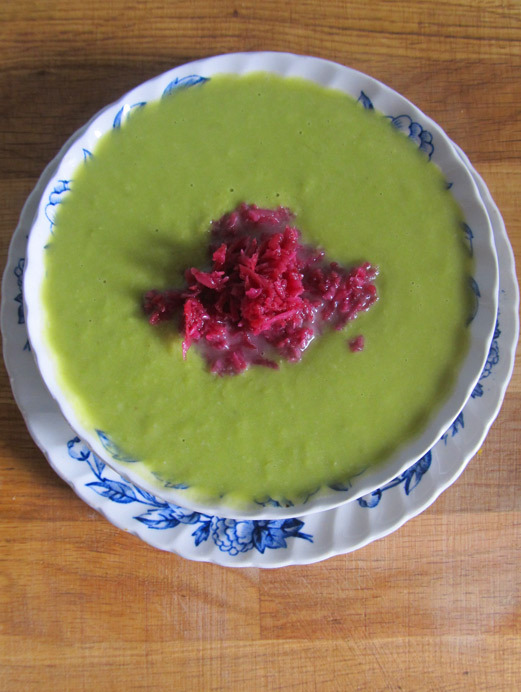 I also snack on soup to, it makes a perfect ‘just home and am starving’ snack as we all need a little snack between 5-7 (that is unless you have small kids in which case dinner is at 5pm!). This is also a great source of fat and protein. Did you know peas are filled with protein? And of course regular readers will know I am mad about coconut (here is why) as they are help fill you up, boost metabolism and provide that creamy taste without the cow juice (i.e milk). To make this even more of a health boosting soup I top mine with this amazing and super cheap probiotic food. So if you have 30 minutes then whip up a batch! And make sure you join my email list if your not on it already as there is some exciting events happening this week AND a whole bunch of freebies to be had! Sign up here. 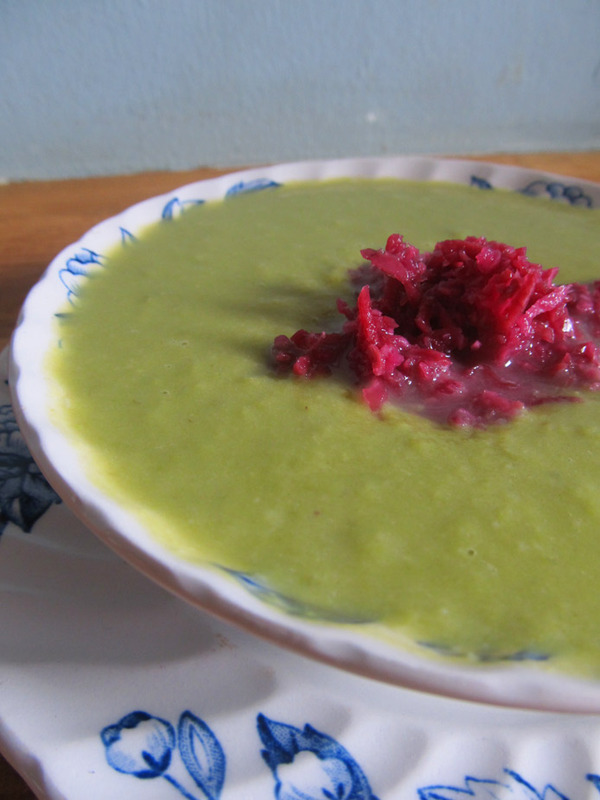 A simple soup ready in 30 mins that is a perfect protein boost! In a large pan place all the ingredients and bring to boil. Simmer for 20 mins then blend until smooth. Add seasoning to taste. Feel free to use coconut milk just add less water. So if you use 150ml of coconut milk use 150ml less of water. Add more or less liquid depending on you preferred consistency. This also taste great with some chilli or cayenne!